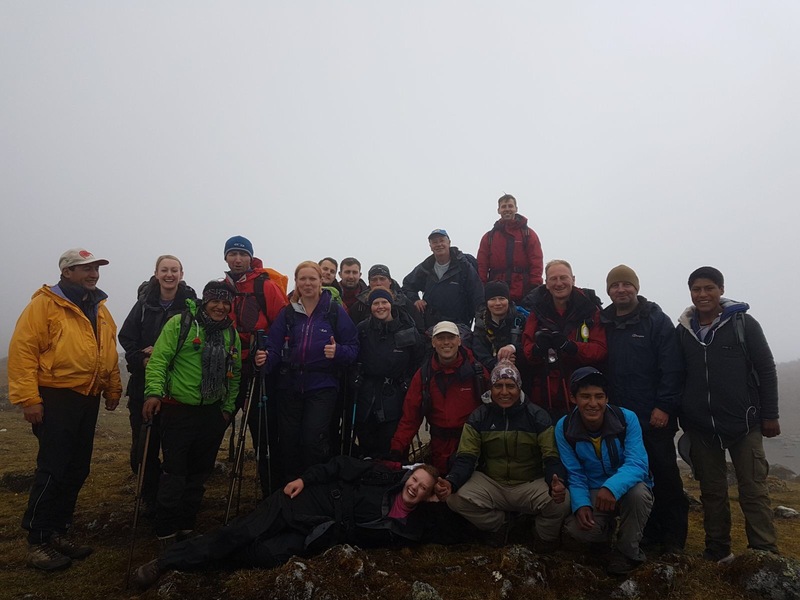 Exercise Northern Inca Unicorn 17 was conducted from the 26 Oct to 12 Nov 17. 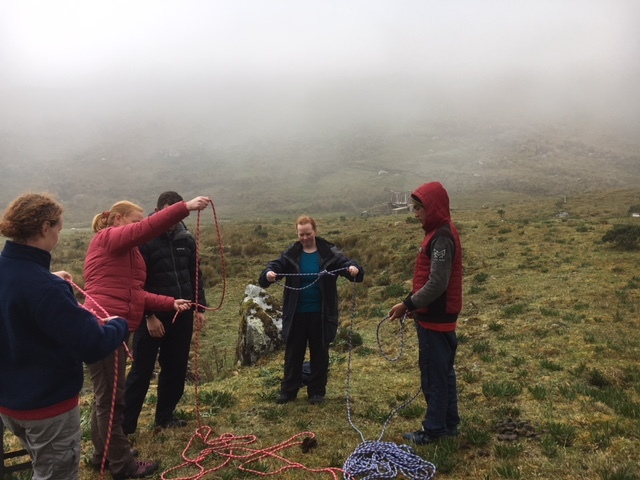 It was led by Staff Sergeant (Senior Permanent Staff Instructor) Guy Bufton, its aim was to promote the Joint Service Adventure Training scheme at all levels within 32 Signal Regiment, in particular junior ranks and to provide a fertile learning environment to develop future summer mountaineering instructors and inspire junior soldiers to follow in their footsteps. 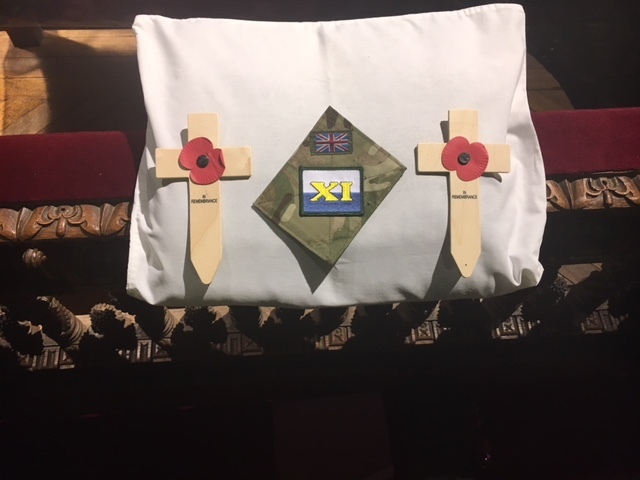 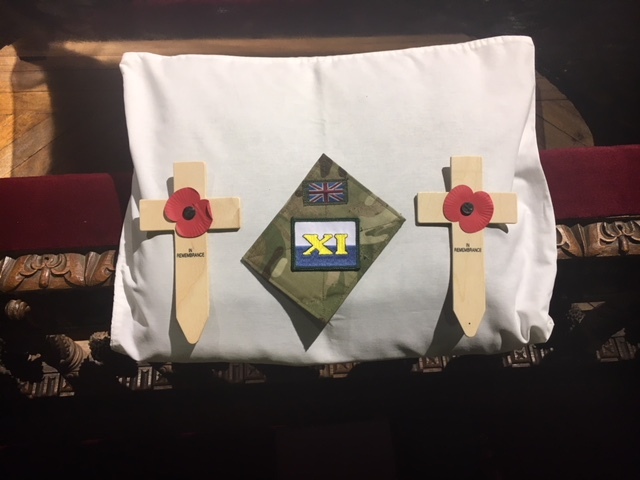 On the 26 Oct 17 the team centred on the Army Reserve Centre at Darlington from the 4 corners of the regiment (Aberdeen, Belfast, Edinburgh and East Kilbride). 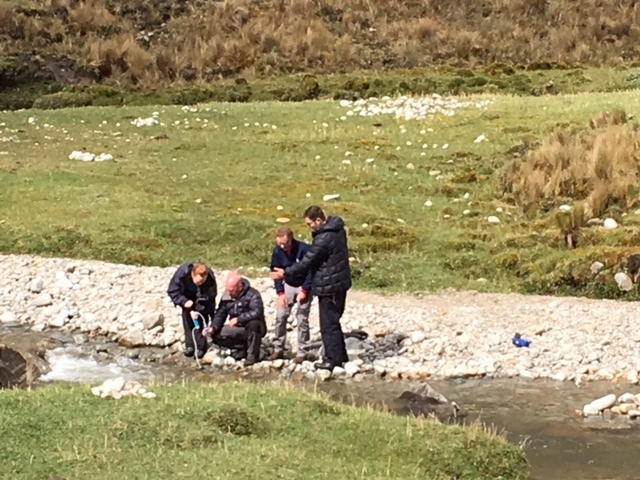 On arrival the team were issued loan pool equipment and other essential equipment for the imminent deployment. 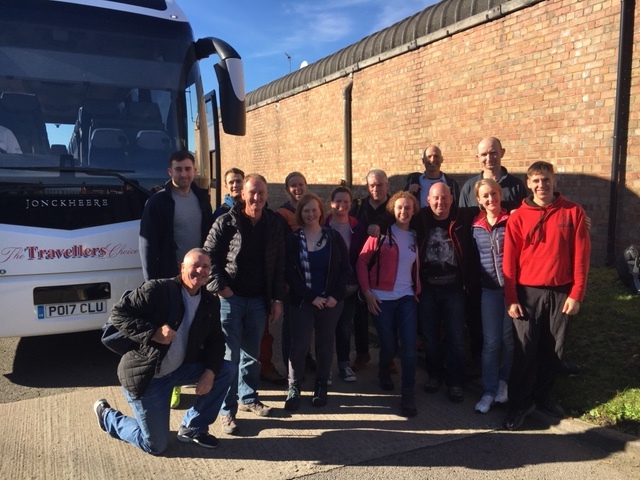 Following a series of briefs by the expedition leader and the Environmental health team there was just time for a refresh on Satellite phones by Sergeant Clarke and Corporal White prior to deployment by coach to Heathrow. 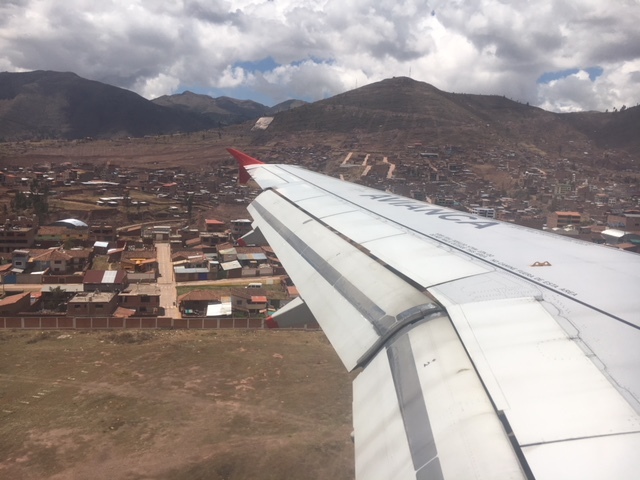 The team flew via Bogota directly into Cusco, arriving at 3430m which for some was a bit of a shock to the system. 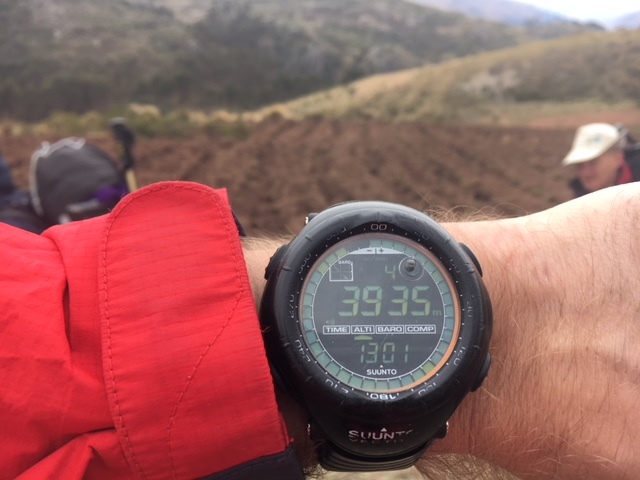 The next 4 days of acclimatisation training designed to carefully and progressively prepare the team for the expedition ahead saw the group adjust to this increase eventually working up to 4180m. 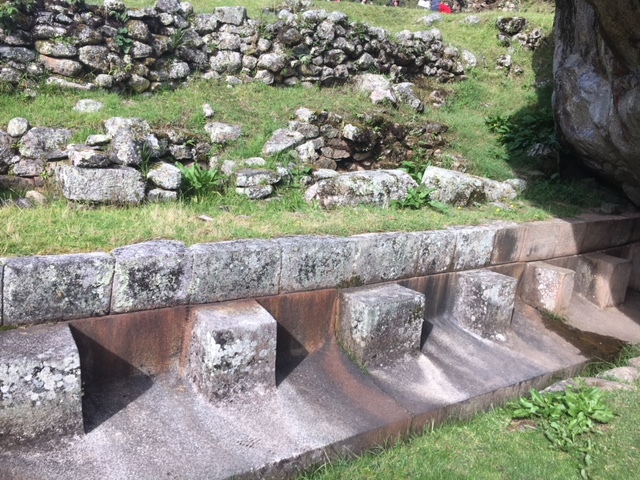 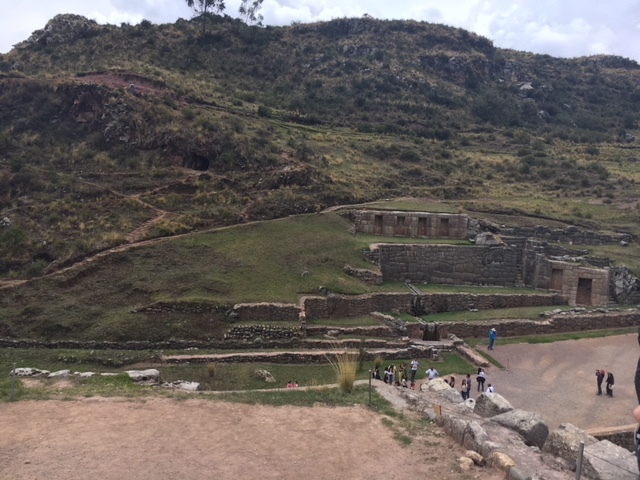 Acclimatisation included visiting 2 very impressive Inca ruins Saqsayhuaman and Tambomachay. 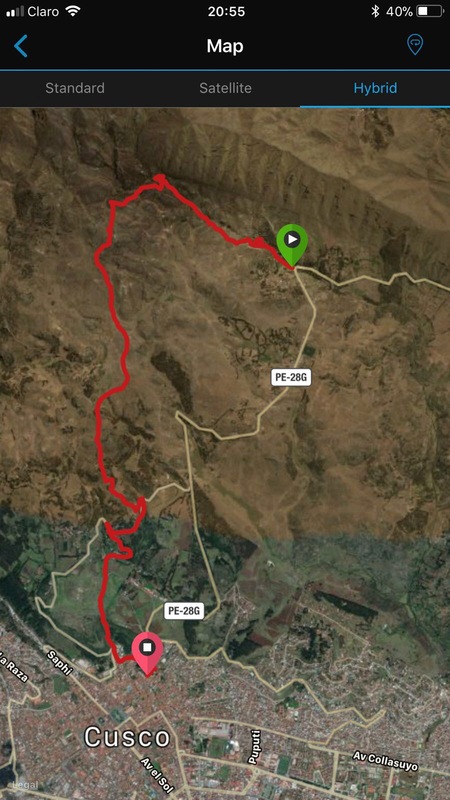 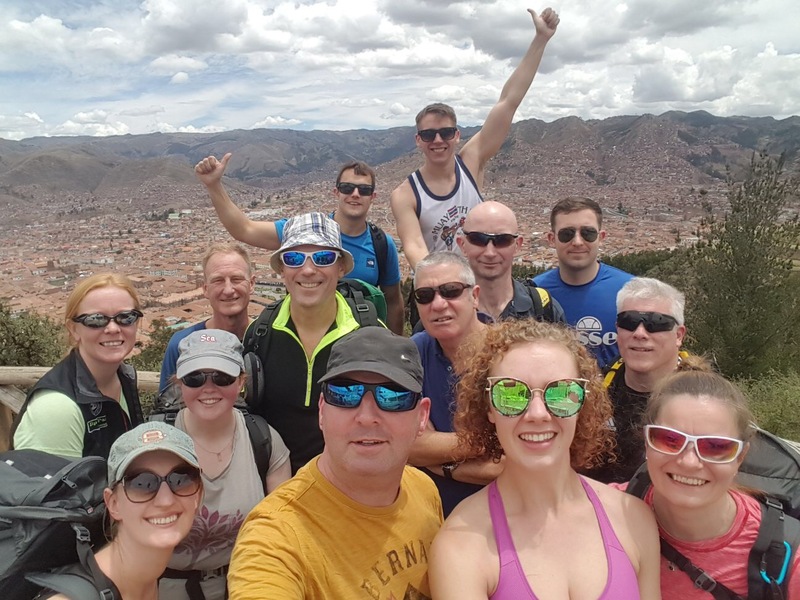 The distances and altitudes were increased each day in accordance with the acclimatisation plan. 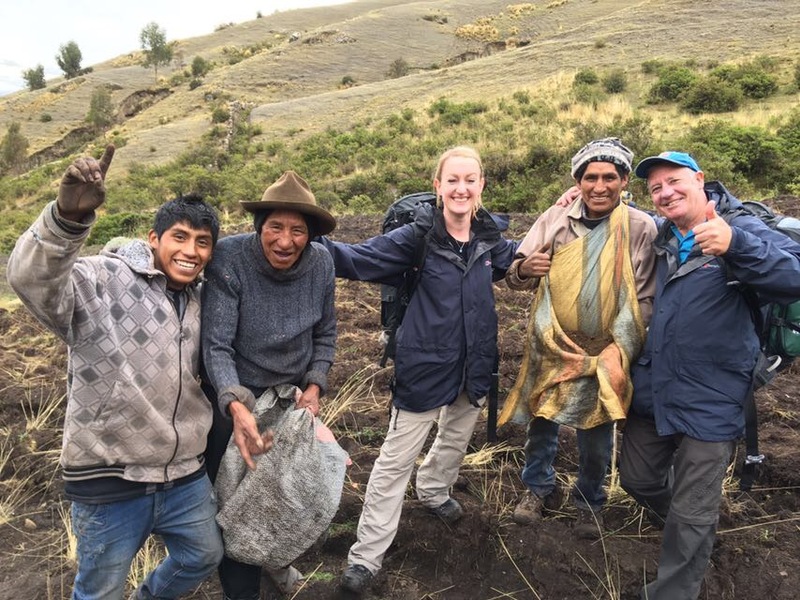 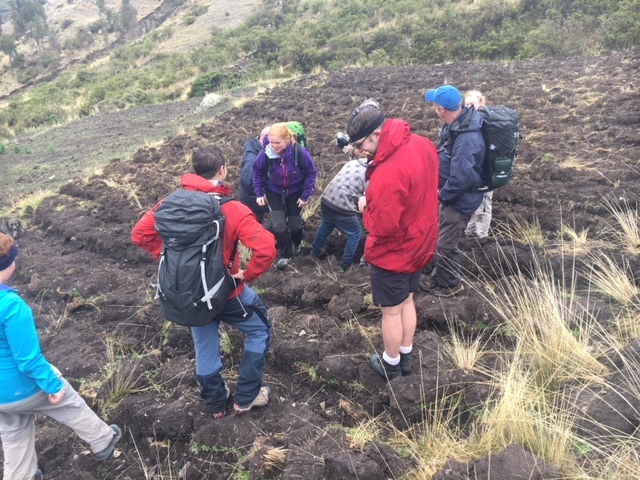 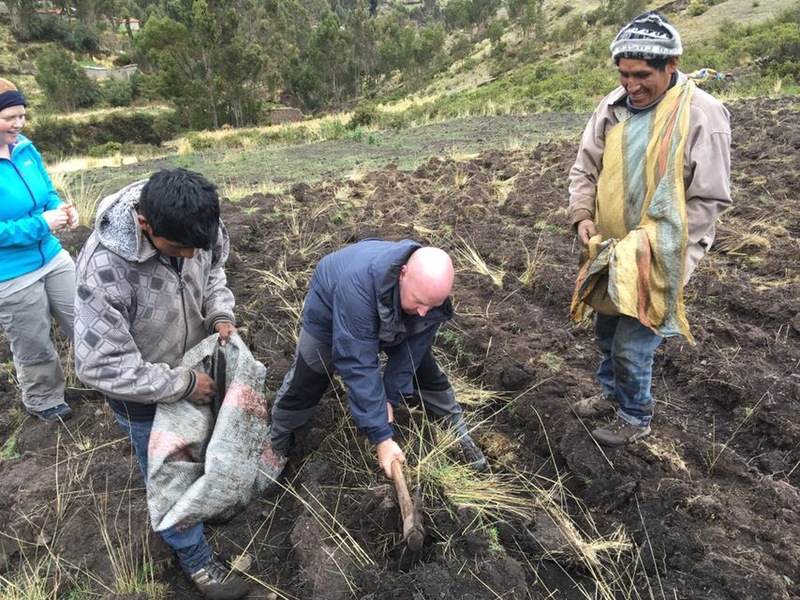 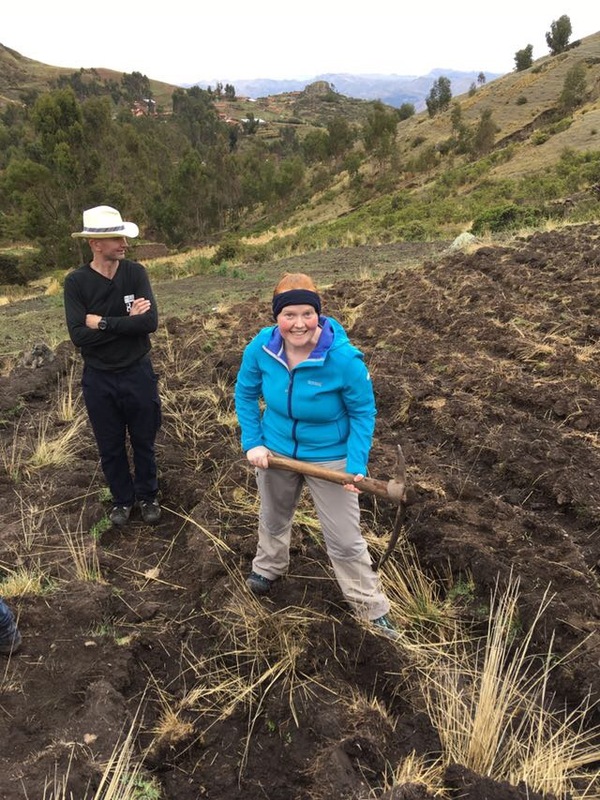 On the last day of acclimatisation we were lucky enough to be given the chance to help some local farmers to plant potatoes at 4000m, Something none of us had done before. 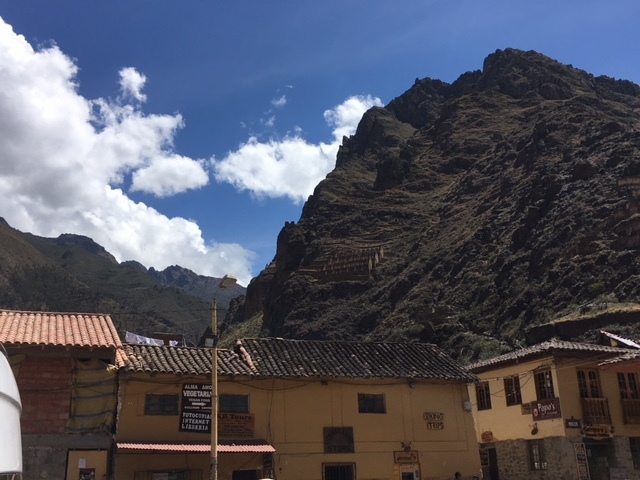 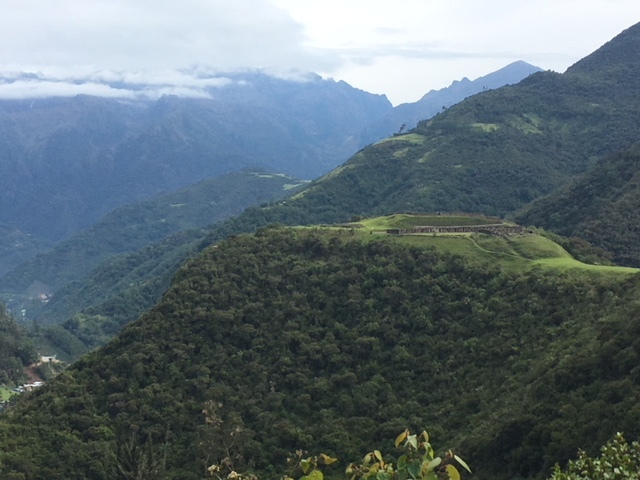 On the 2nd of November the team massed with their kit for the 7.5hr journey to Huanccalle in Vilcabamba District from where the Trek was to begin, the journey took in some truly breath taking scenery and involved a brief stop for coffee in Ollantaytambo. 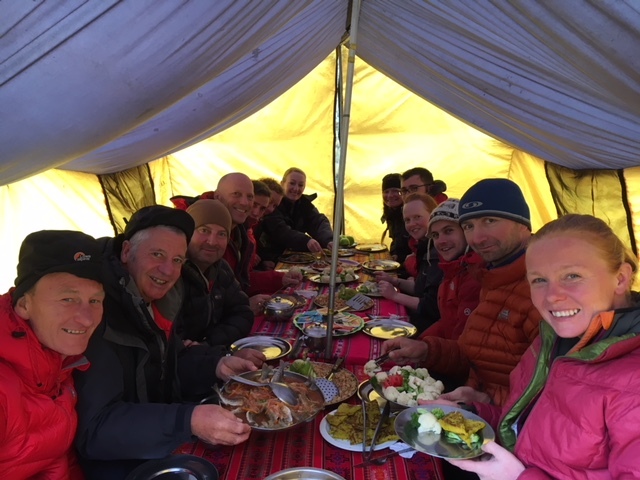 On arrival at Huanccalle the team were treated to the first of what were to be fantastic meals by the chef team, provided by the Trek Company. 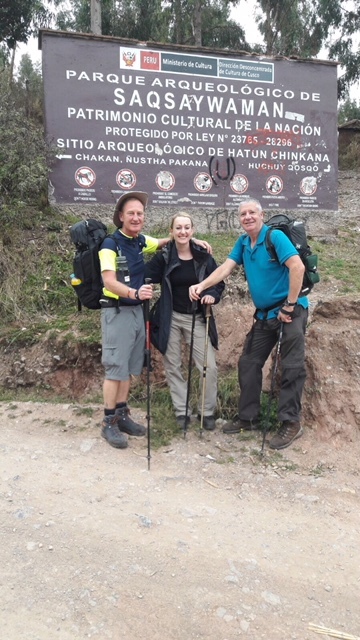 The following morning Major Heather Lawrie (lead instructor) and Staff Sergeant (expedition leader and second instructor) Guy Bufton alongside our local guides Gilf, Omah and Rolando headed off on what was to be the Trek of a life time. 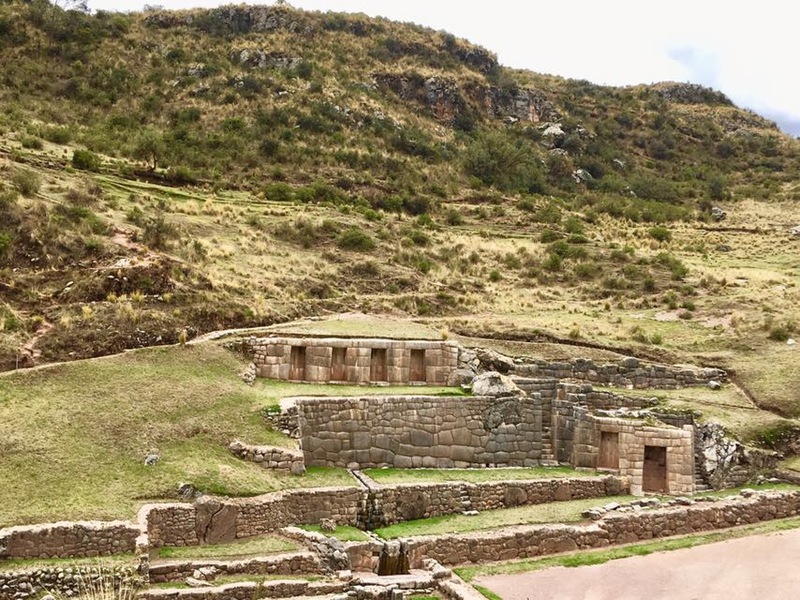 Our first stop of the day was at the Inca ruin of Rosapata vitkus. 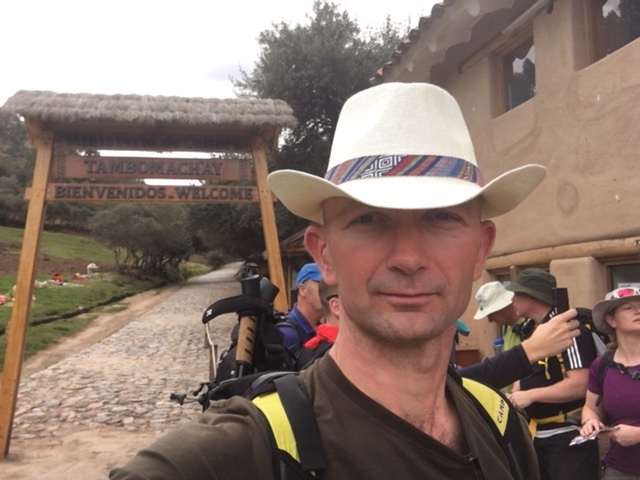 It was whilst stopped here that Corporal Rob Browne succumbed to a very nasty stomach bug and by the time we arrived at our second stop for the day, Yuraqrumi Nusta Hispana it was obvious he would not be able to continue. 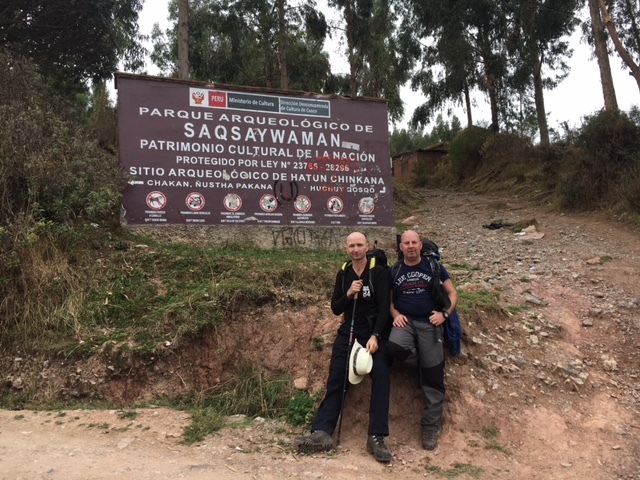 Our senior guide Gilf took Rob down the hill and spent 2 days with him at the hostel whilst he recovered and was returned to us on the back of a Mule on day 3 of our Trek. 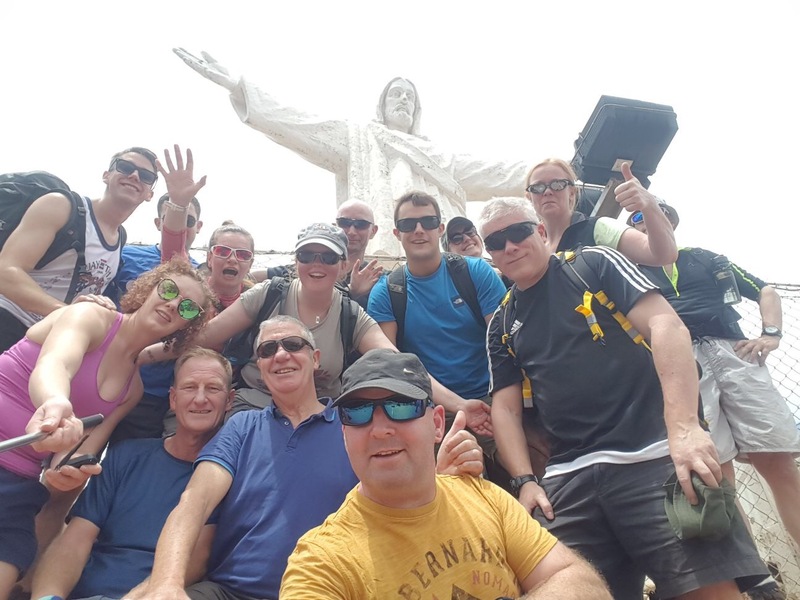 He was greeted by unanimous support and assured that there would be no long faces or horsing around now that he was back in the coral!! 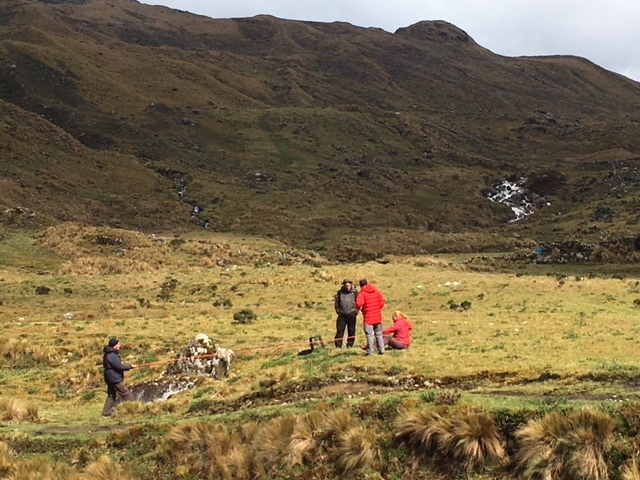 On arrival at Camp 1 another Inca ruin, Incawasi, we were welcomed by our guides with happy hour, biscuits with jam and butter and a side order of tea before being served a meal fit for royalty, prepared on a single ring burner by our more than capable local cooks which having trekked for over 8 hours, 16Km in distance and over 700m in altitude gain from the start point was very welcome indeed. 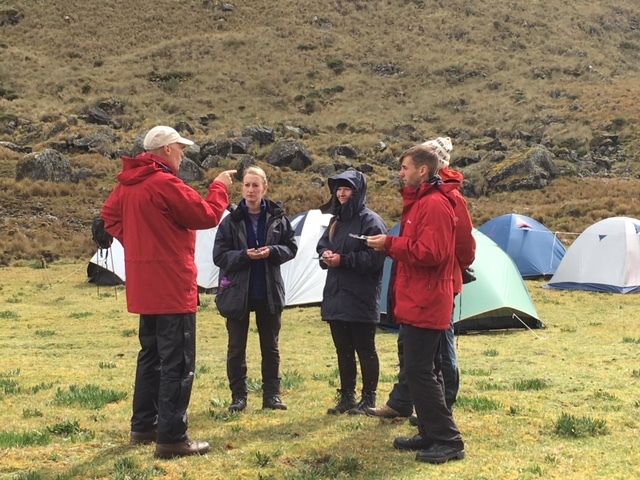 The evening bore witness to a fantastic and at times rather scary light and sound show in the form of a stupendous thunder and lightning storm which had everyone in awe. 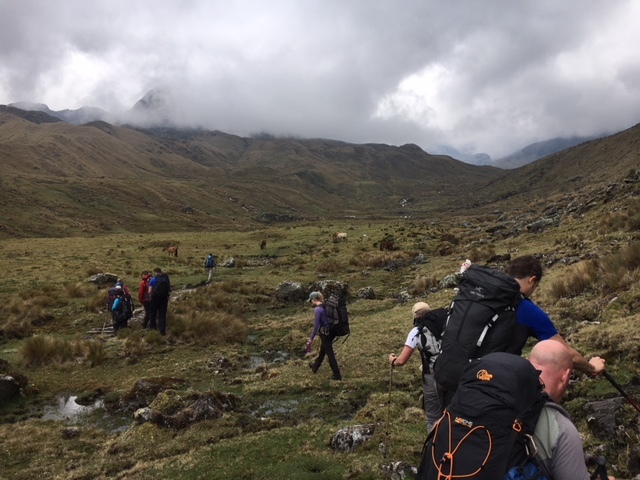 The rain storm that ensued did dampen some kit but not our spirits and with the coming of dawn we were to be treated to yet more awesome scenery as we made our way further from civilisation. 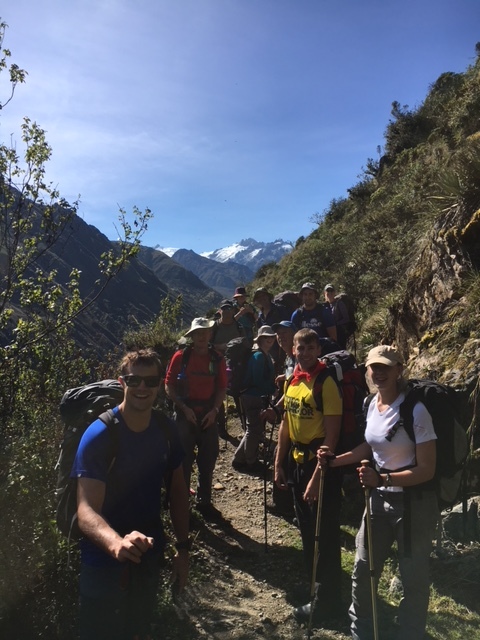 Our second day which was to be a relatively short distance of 8km and an overall altitude gain of 700m delivered us at 4000m for Camp 2. 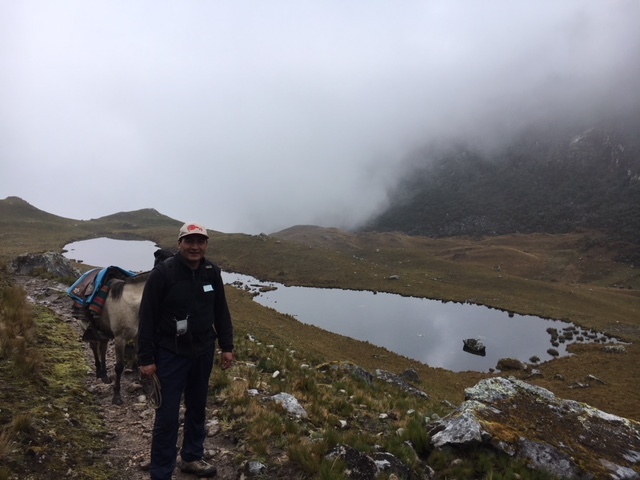 During our days walk and serving to illustrate just how remote we were becoming only one local was encountered traveling our route that day, for all the remote nature of this trek versus that of the better known routes in the Andes was really starting to set in. 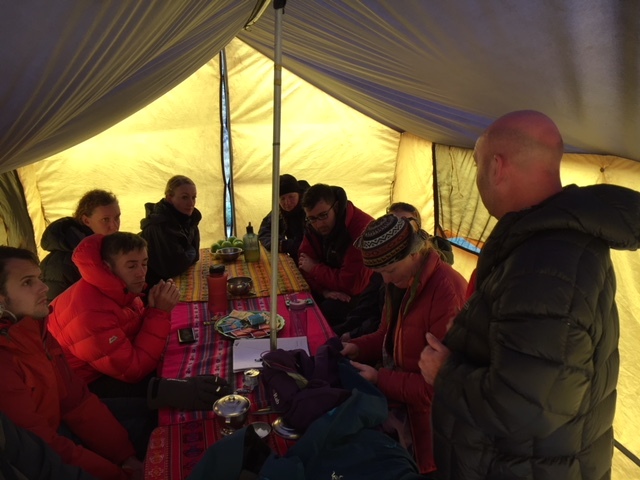 As we arrived at Camp 2 the team geared up for a rest day (but not a day off) for after lunch had been served the students of the Summer Mountain Foundation (SMF) Distributed Training Course (DTC) and with the remainder of the team had various lectures and practical lessons and revision in key mountain topics such as; the Joint Service Adventure Training Form Alpha process, applications for Training Over Private Land, equipment characteristics design and use, security on steep ground, selection and layout of campsites, water purification to name but a few and delivered by the expedition instructional team; Major Heather Lawrie, Staff Sergeant Guy Bufton, Staff Sergeant Dave Riches & Sergeant Brian Clarke. 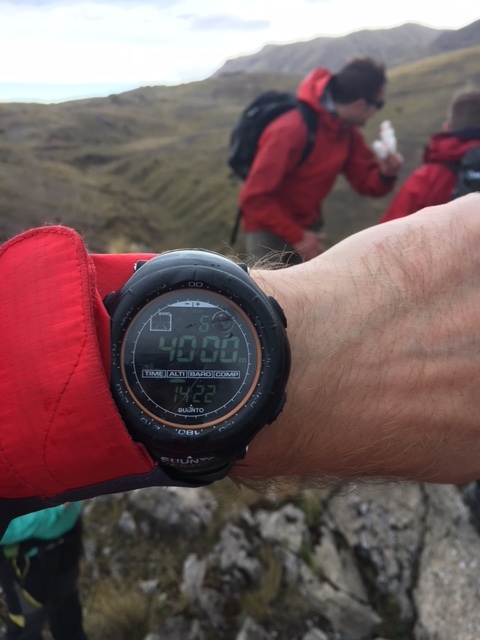 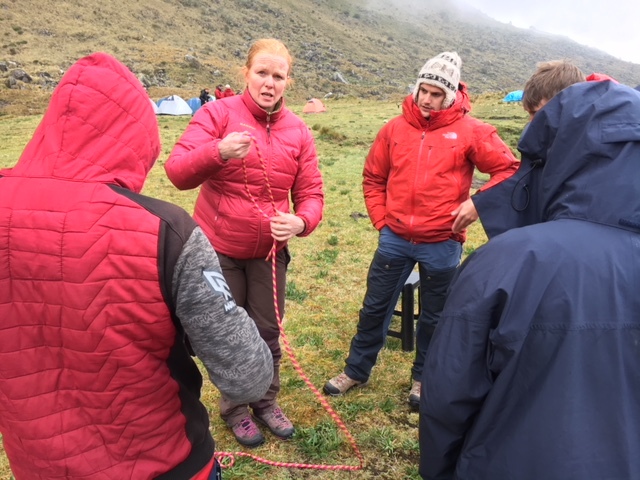 This aspect of the expedition marked a real step change delivering a day and a half of bespoke mountain training at 4000m of altitude, valuable skills put into context by the sheer fact that the students were in a remote and high risk environment. 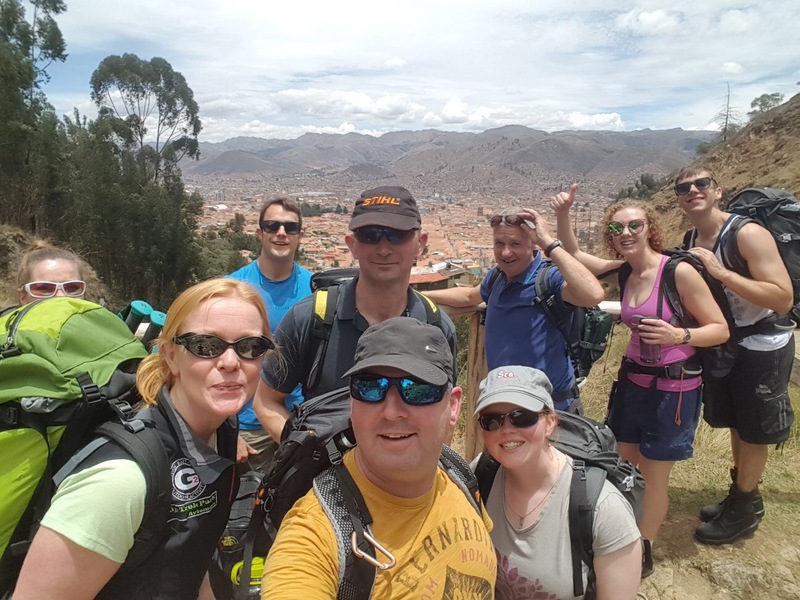 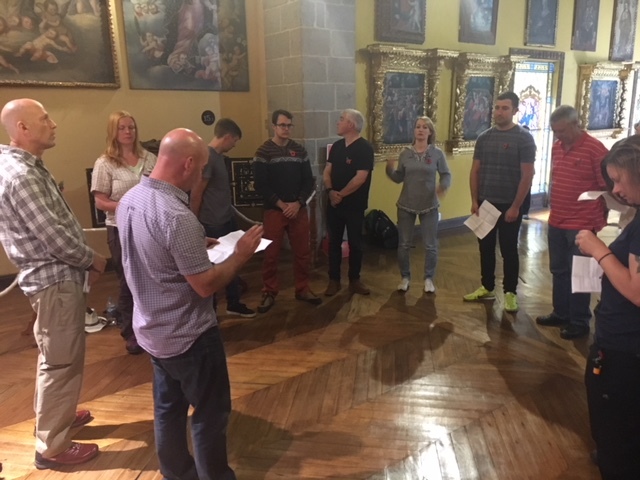 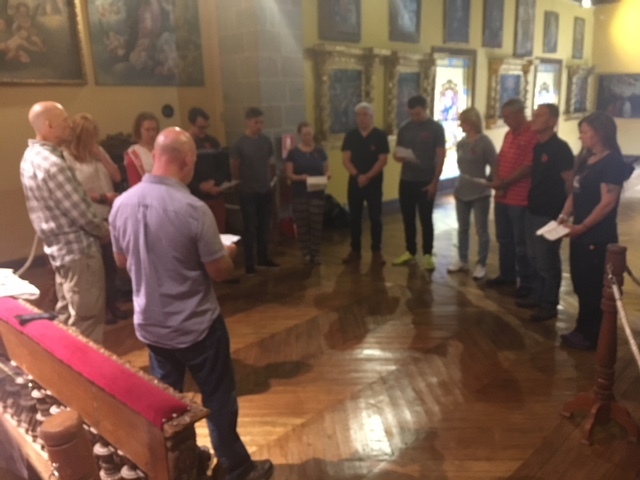 Individuals began finding themselves totally dependent on their team to get through, every decision taken had the chance of being life altering for them or one of the team. 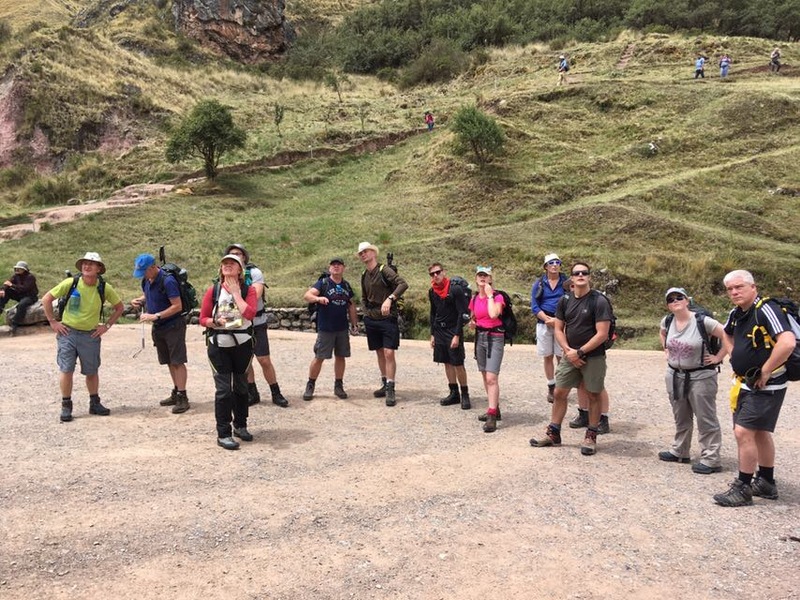 On day 4 of the Trek the team struck out for what promised to be their most challenging day thus far, a day that would see the team break their altitude record for the expedition, not once but twice in one day with 2 high mountain passes to negotiate one at 4470m and the last at 4515m. 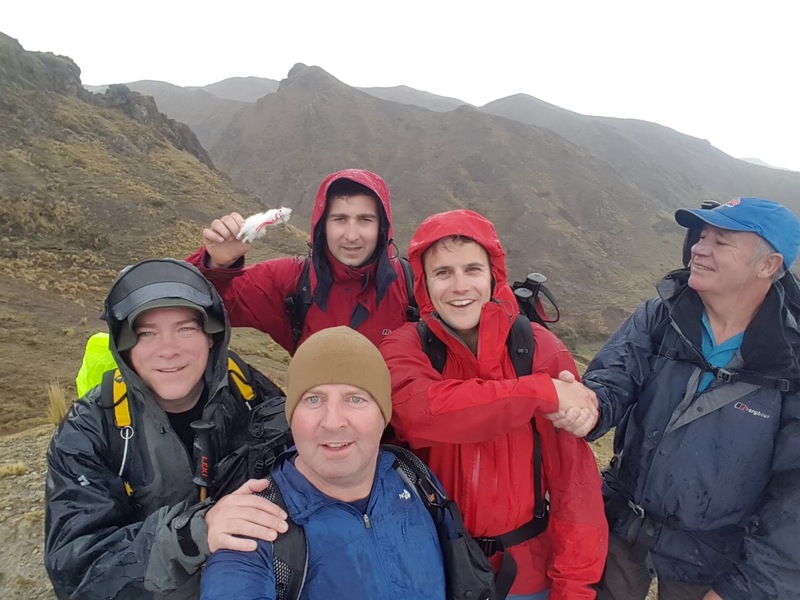 The weather closed in as the team made their way up into stunning and at times extremely challenging terrain, by the time the first pass had been negotiated the heavens opened and ensured all of the team got a free shower and tested their full Gortex suits to their maximum capacity. 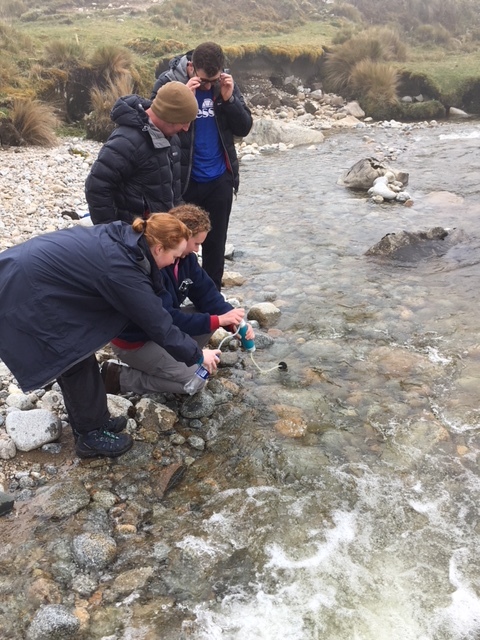 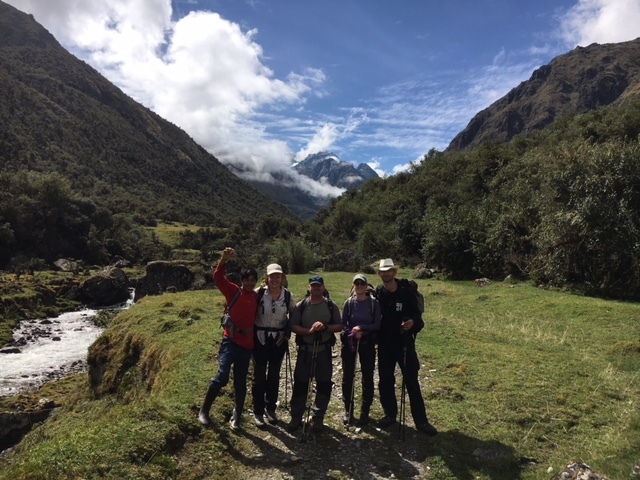 With a rather moist lunch devoured with vigour the team pressed on for the highest pass that their trek was to offer and with it many celebratory photographs and hi jinks ensued. 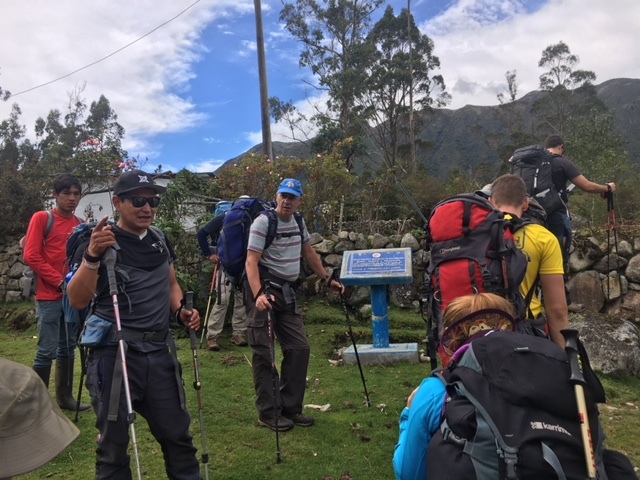 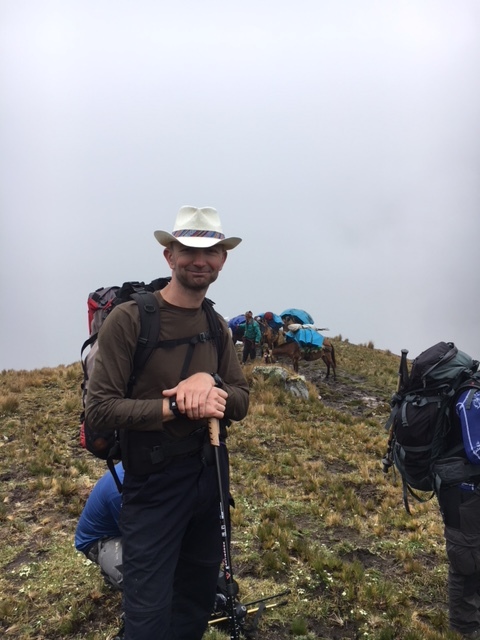 Arrival at Camp 3 saw the team realise that the hardest days of the Trek were behind them only to realise that new challenges awaited, the negotiation of the high amazon jungle awaited in the morning as we worked our way towards our Goal of Machu Picchu. 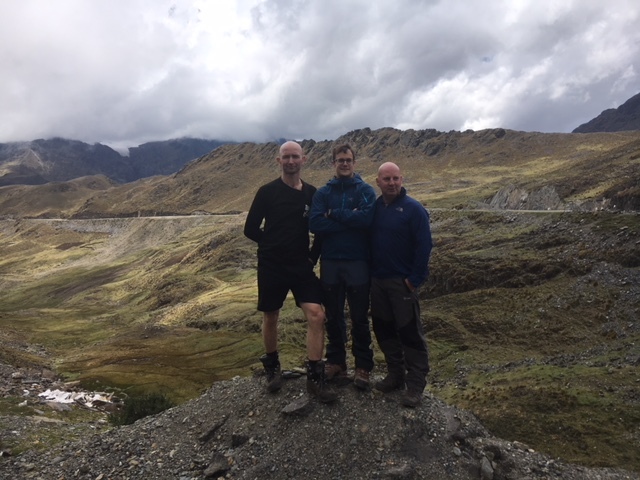 We arose the following morning to stunning views of the Andes and we were in no doubt of the challenge that awaited us with 7km to trek downhill to our transport. 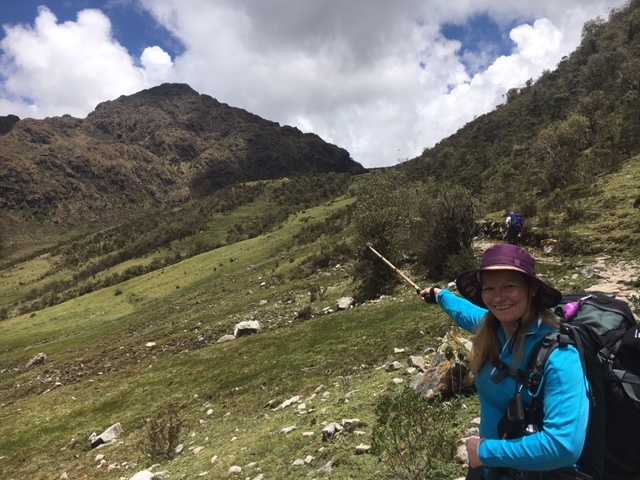 We had planned to walk out of the jungle but as we bade farewell to our mule drivers and began the trip out in the two local combi vans we understood the reason for not continuing on foot, the road was narrow and there was no protection for walkers from oncoming vehicles or rock falls. 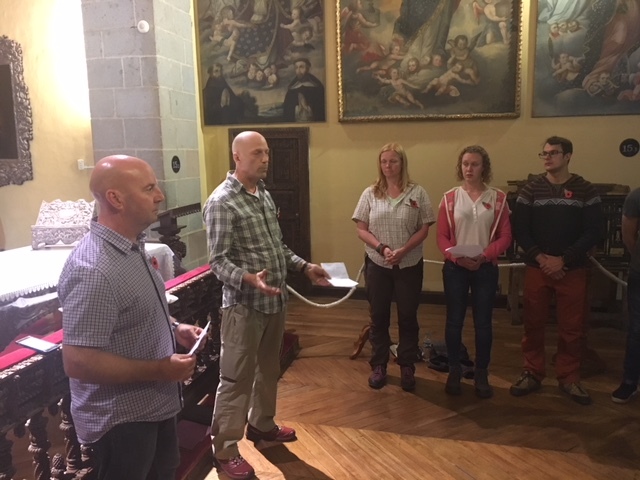 Our arrival in Santa Teressa meant a night in a hostel and the chance of a good night’s sleep in a proper bed which most of us enjoyed to the full (that and our first hot shower in 5 days). 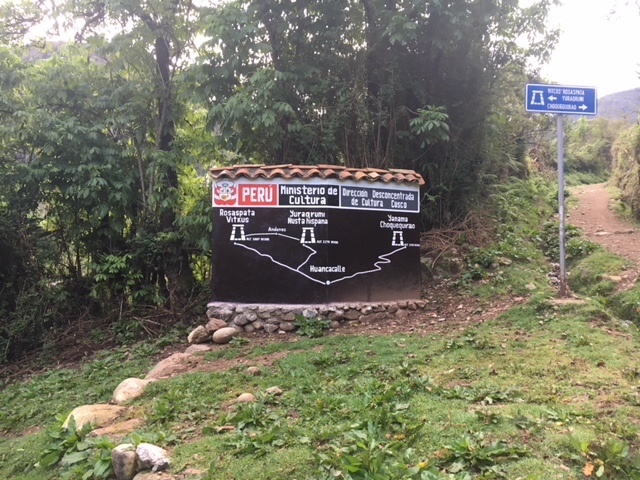 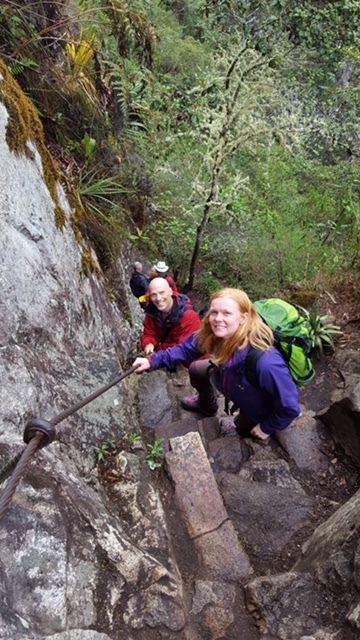 We stepped off the next morning on what was to be a rather more arduous day than we had originally planned with a 15km trek along the railway line from the hydroelectric project to Aguas Callientes nestled in the lea of Machu Picchu. 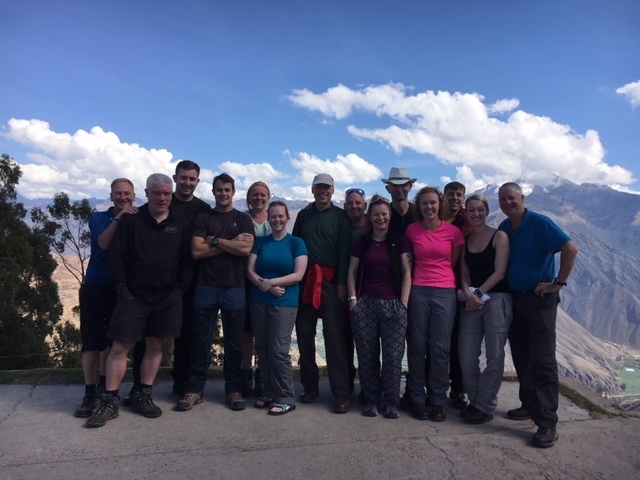 The difference in altitude and humidity played on the group and eventually took its toll with the group having to seek the shade for an hour or so before completing the days trek. 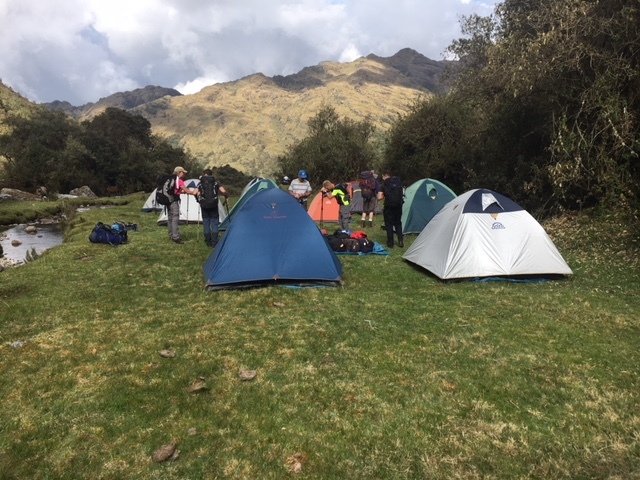 On arrival to Aguas Callientes we were faced with tourists for the first time since we had left Cusco and we all realised how privileged we had been to be one of only 3-4 groups a year that complete the Vilcabamba trek accredited by the guides as one if not the toughest hikes that run in the area. 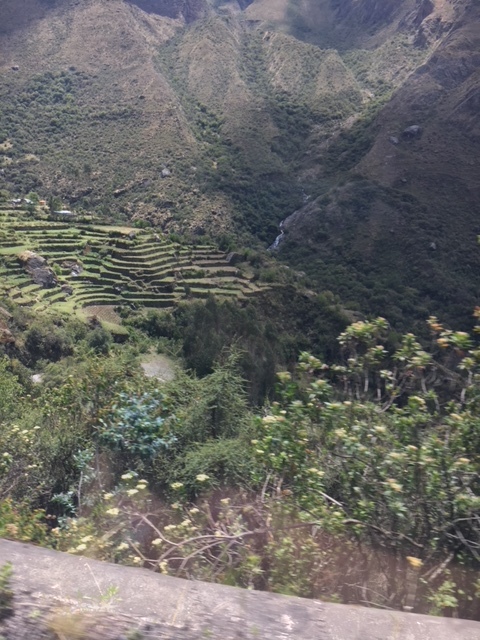 Our final day on the Trek was our experience and bucket list item of many of the expedition members, our ascent and exploration of Machu Picchu and Waynapicchu, the mountain was shrouded in jungle mist however for our 2 avid lord of the rings fans Corporal Steph Bannan and Lance Corporal Serena Murray this only added to the mystique and wonder of our visit. 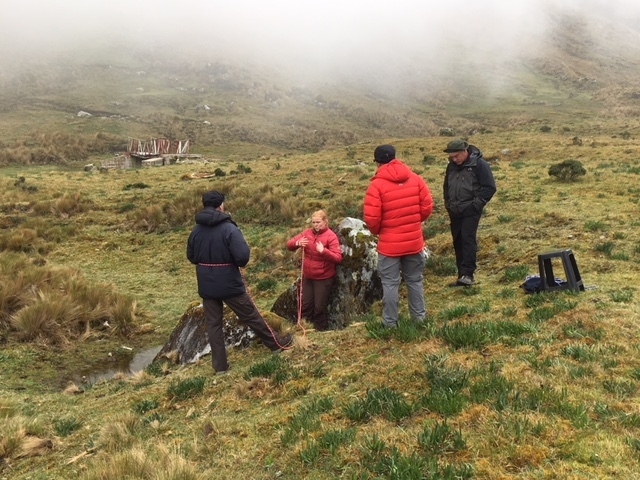 Some excellent photo opportunities were taken despite the ever moving mist and the team had a fantastic 6 hours exploring this wonderful and exotic wonder of the world. 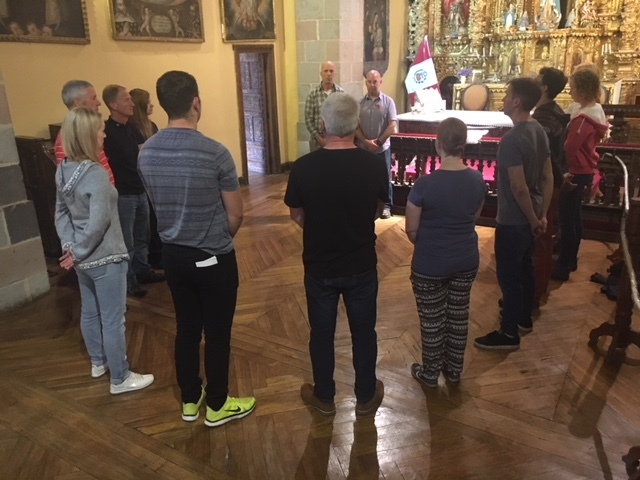 On arrival back in Cusco the team were treated to a cultural visit day involving a visit to the Inca museum and many of the other stunning tourist rich sites around Cusco (and a little souvenir shopping) prior to conducting a short but meaningful remembrance service in a local chapel on the 11th of November at 1100hrs. 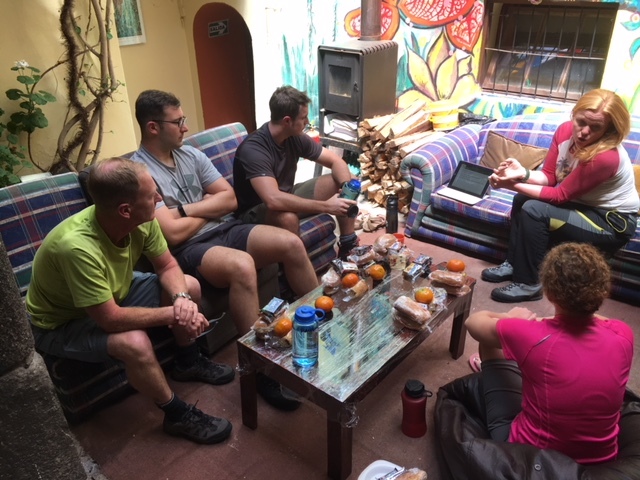 A sad farewell to the team at our hostel and a frantic drive across Cusco before beginning the 19 hour journey back to the UK and 8 hour onward transfers to home unit locations could ensue. 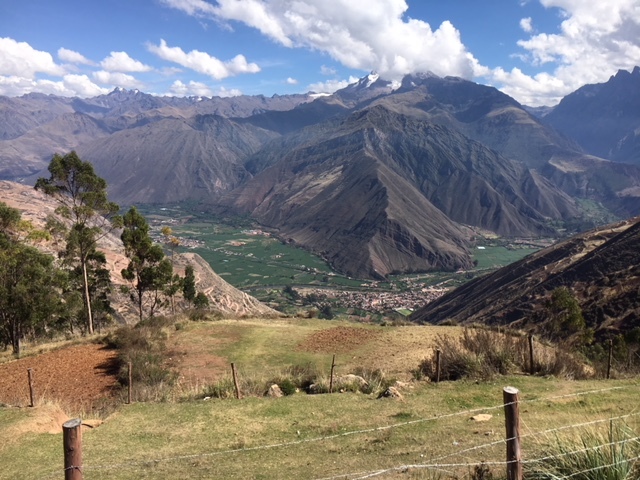 Following a couple of short hours and our last lunch in the Sacred Valley, it was time to head to the station and board our train for Ollantaytambo. 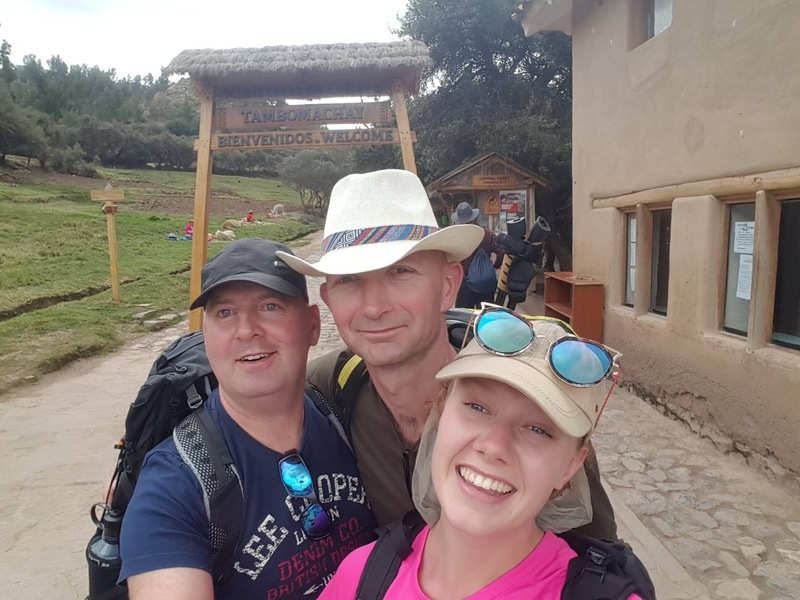 The service on board was as if we were in first class, however to our amazement we were in economy, the stewards passed free drinks and snacks around and were always extremely polite and helpful. 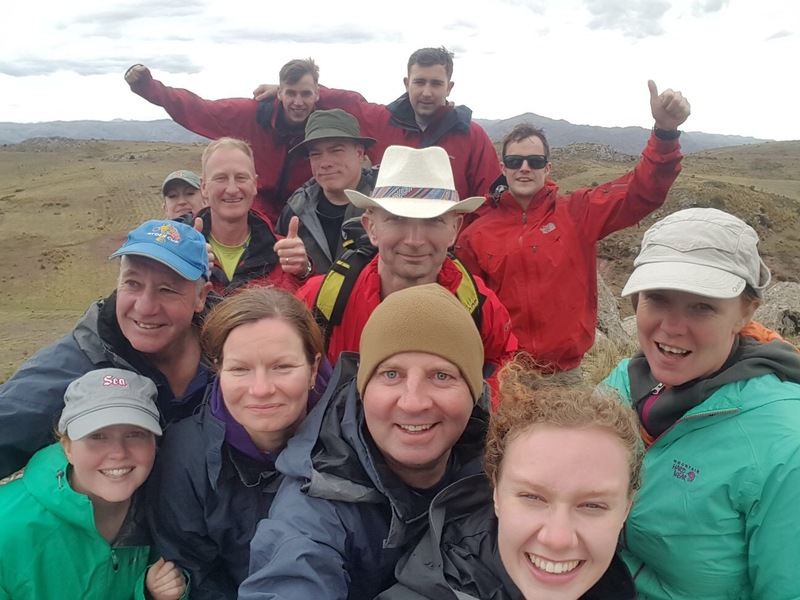 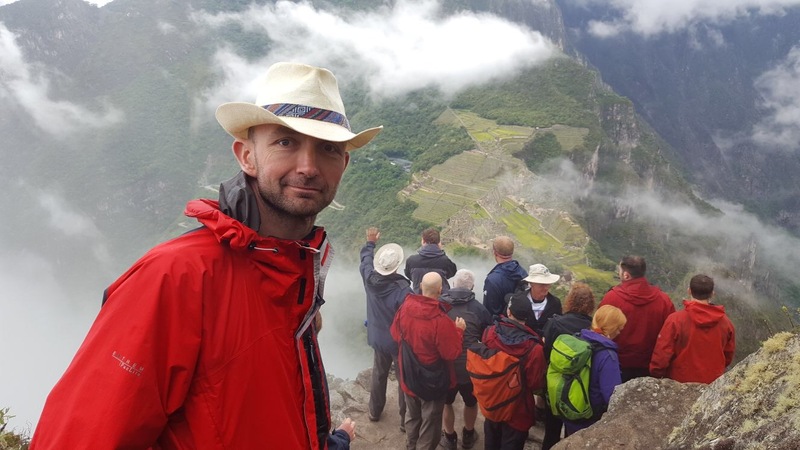 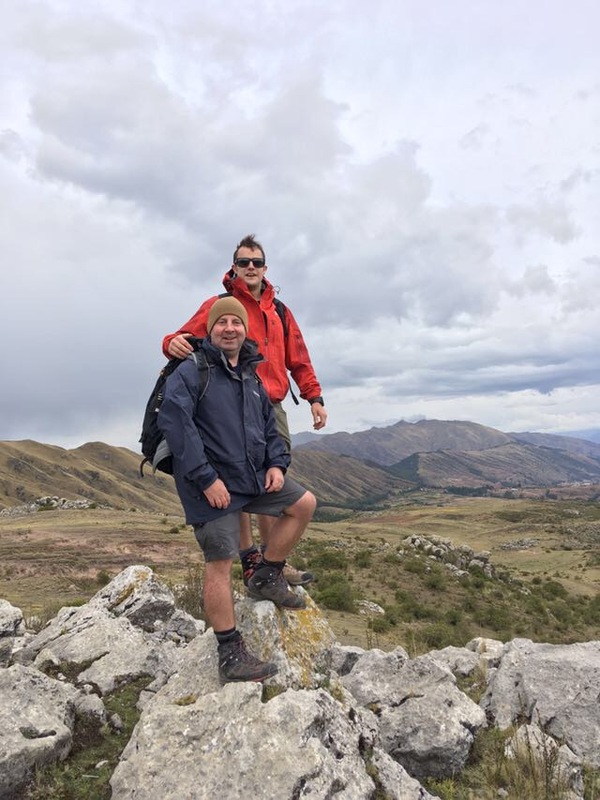 The team all were fortunate enough to experience a once in a lifetime adventure of self-discovery and the regiment is set to benefit from its newly qualified and freshly revised Summer Mountain Foundation qualified personnel. 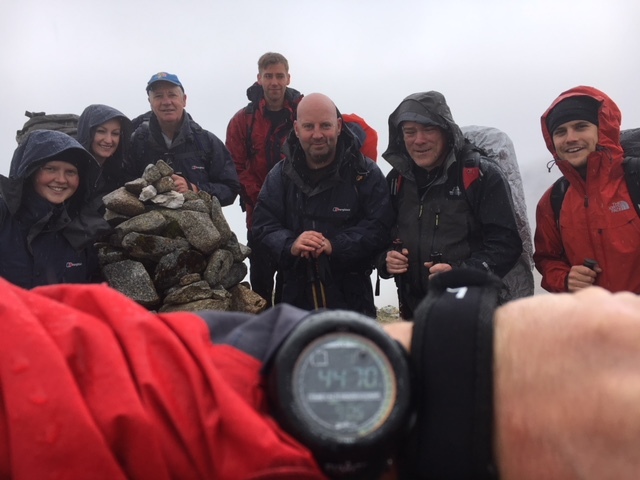 As the reality of return to civilian life for 13 of the team and for me to my post as Senior Permanent Staff Instructor in Darlington begin to drag us back to reality I can say without hesitation that everyone in the group was pushed beyond their own conscious and subconscious limits. 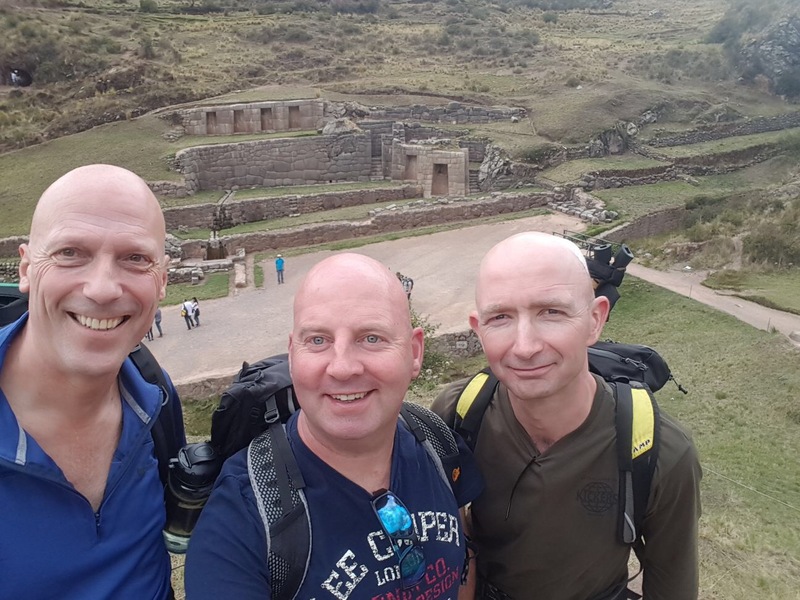 All have grown in ways that would not have been possible had we not pushed to high altitude and put our experiences in an area so remote that it would take days not hours to reach civilisation.